The “Fili fossil edition” is the most rare edition of the Fili Pipe, a churchwarden entirely made of bog oak. The pipe consists of four parts, detachable for easy cleaning. The ancient wood out of which the bowl, the stem, and the junction body, are made dates back to trees lived more than 2800 years ago. The growth rings and the veins are visible on the pipe and perceptible to the touch, and they tell the story of the tree, which has been buried in the subsoil for hundreds of years. Its spirit revives today within this precious object. The mouthpiece is made of horn-style methacrylate, and the pipe is embellished by a silver ring, that also has the function of reinforcement. 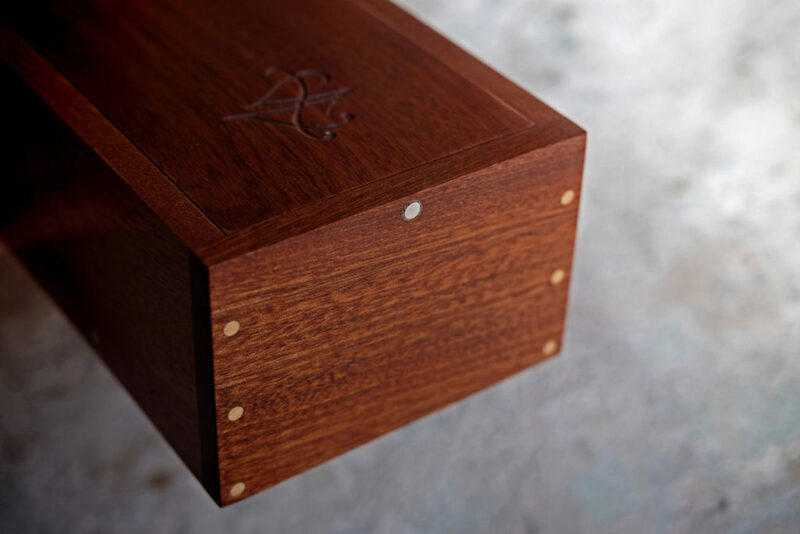 The pipe is placed in a box, hand-made in all its details; made of mahogany with a sliding lid and magnetic closure.